Here he is – Jonny Shaw is back after almost 18 weeks! 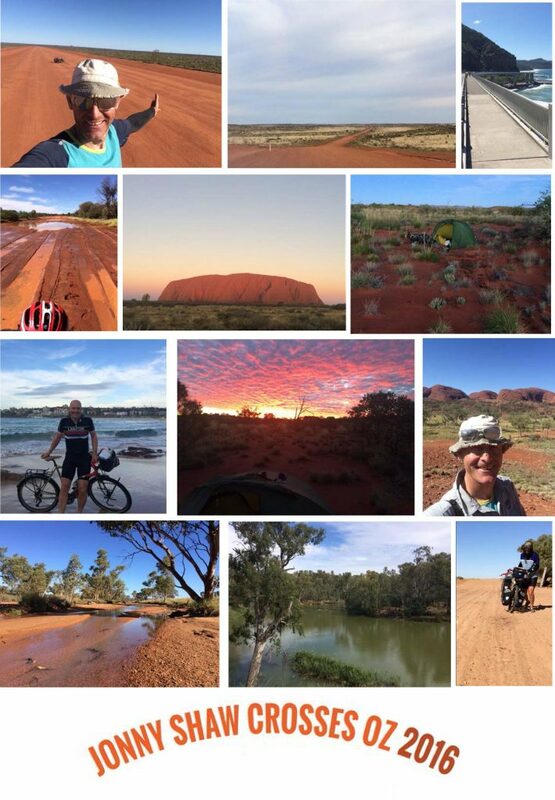 I had the absolute pleasure of meeting him in reception to hear all about his journey cycling across Australia and I am so pleased to announce that he has raised £4,178.78 for the hospice!! What an achievement, we can’t thank you enough! 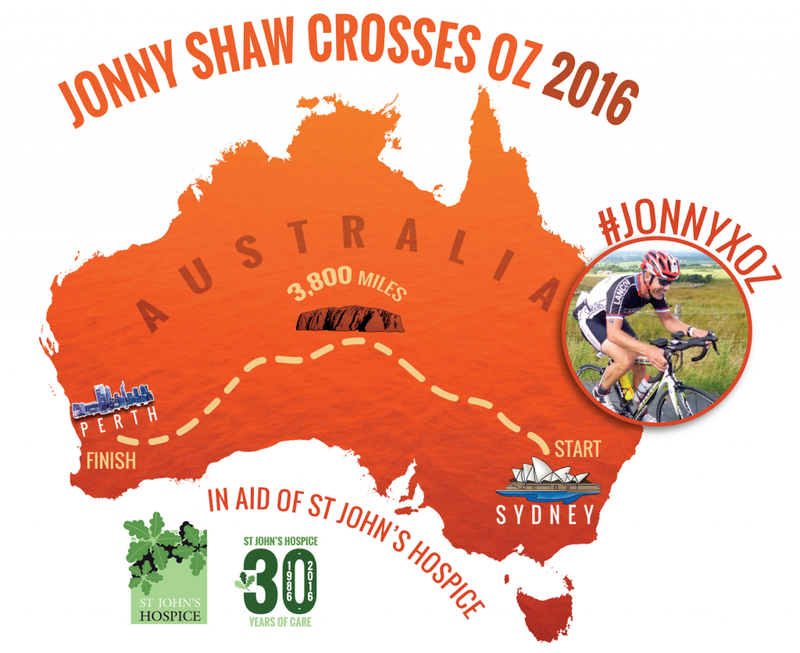 I am cycling across Australia from March to June 2016 to raise money for St Johns Hospice. This ride is totally self funded so all you give goes to St John’s Hospice. This journey will be unsupported. I will be out there on my own just me, my bike, and 4 panniers of kit.